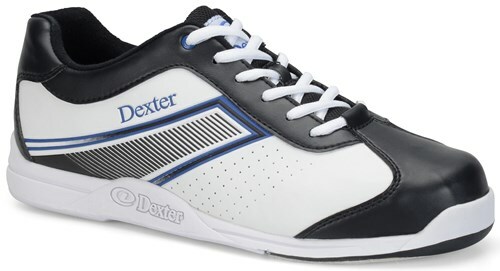 The Dexter Men's Randy is a sporty shoe that matches up with right handed or left handed bowlers. This shoe features white man-made upper material with black and blue trim cut for a U-Throat Upper pattern. These shoes are comfortable and perfect for a night out on the lanes. Hello. The Dexter Mens Randy will come in a D width. Due to the time it takes to produce the Dexter Mens Randy ball it will ship in 2 bus. days. We cannot ship this ball outside the United States.